The Fern Stitch is notable for its spiky. It is useful for making climbing vines, veins on leaves, and even tail feathers for a bird. 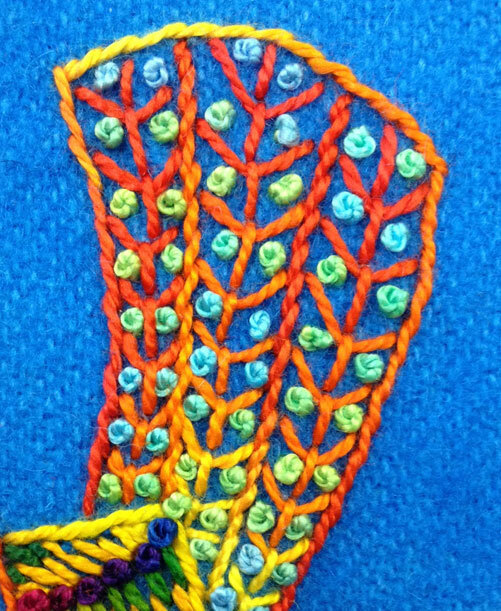 This is my version of making the Fern Stitch. Other directions for the stitch may vary. You work from the tip of the stitch line down to the base. 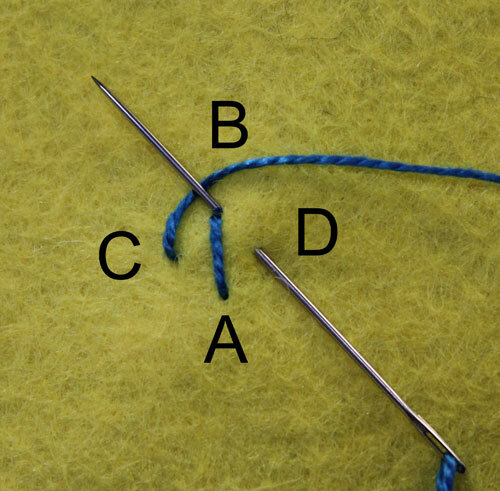 Here’s how to make the Fern Stitch: Make a straight stitch about 1/4″ long from point A to point B. 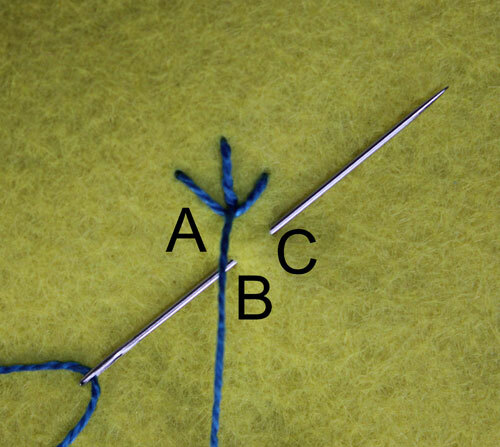 Then bring the needle and thread up at point C (to the right and a little down from point A). Now turn the work over so point A is facing down. Insert the needle into point D (to the right and a little down from point B). Bring the needle tip up at point B. 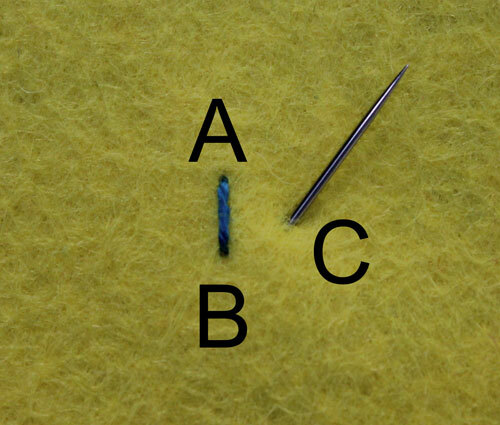 Place the thread coming out of C under the needle tip and draw the needle and thread through the fabric. Now flip the work over again so the old point A is at the top. 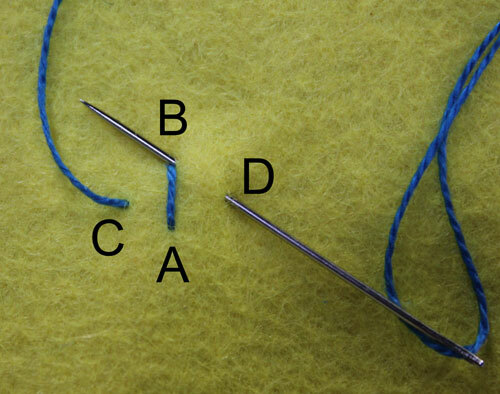 Repeat the stitch sequence by starting at a new point A which is the old point B. 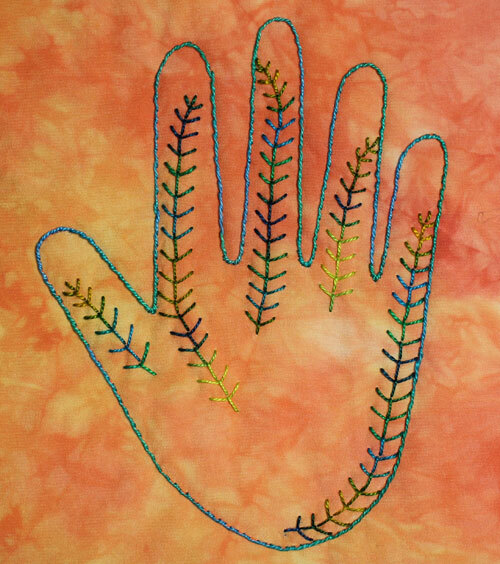 Fill in the spaces between the spikes of the Fern Stitch with French Knots to build even more texture on fabric.